After a decade in prison, Mikhail Khodorkovsky hasn’t changed his liberal views on Russia and preserved his ideals and convictions, political consultant Alexander Rahr told RT. Khodorkovsky is still in a very determined mood, but is unlikely to become involved in politics as he now sees himself as a philosopher who has much to say about the present and future of Russia to any who want to listen, Rahr believes. RT:Can you, please, explain what was your role in Mikhail Khodorkovsky’s release from prison? 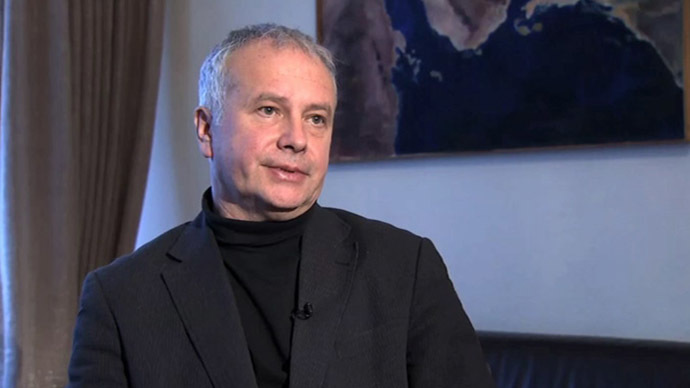 Alexander Rahr: Approximately two or two-and-a-half years ago, Hans-Dietrich Genscher, who was my boss in the German Council on Foreign Relations, asked me to join him in a very special mission, as a consultant. He explained to me that this was a mission, which will be conducted through diplomatic secret channels between Germany and Russia and the intention is to try to free Khodorkovsky, to get Khodorkovsky released. He was asked by the Khodorkovsky’s lawyers to start this mission, but Genscher was also very close – while implementing this mission – with the Chancellor’s office, with Mrs. [Angela] Merkel, with minister of foreign affairs [Guido] Westerwelle, with the German embassy in Moscow. So, he had many tools, which he used in order to accomplish this mission. My role was secondary. I was consulting him on issues concerning Russian politics, Russian politicians, where he wanted my consultations. And I also helped him in translating certain documents, letters from Russia, into English, which he didn’t want to show to other people. RT:Do you think that Genscher’s involvement was somehow influential to the resolution of this issue? AR: I think that Genscher’s role was key in the release of Khodorkovsky. Without Genscher playing this role, Khodorkovsky might not have been released. I would go so far and say it because Genscher really worked hard, meeting with Putin, meeting with other Russian officials in a very soft manner. And he was also accepted in this role by Khodorkovsky, who knew him from previous years when Khodorkovsky came to the German Council on Foreign Relations. And also because Genscher has so much trust in Russia and in Germany. He’s very close to Angela Merkel. He was, of course, very close to Westerwelle. He could use the Ministry of Foreign Affairs for his tasks and also other German ministries. And, of course, the Russian elite very well remember his very positive role in the reunification of Germany after the fall of the [Berlin] Wall, whole support for Russia, which was given to [Mikhail] Gorbachev and [Boris] Yeltsin in the beginning of the 1990s. RT:Do you think that it was an obvious choice for Khodorkovsky to come to Germany after leaving the Russian prison? AR: I wouldn’t read too much into that. I think the reason, why Khodorkovsky came to Germany is very simple – because his mother is here in hospital. She’s very-very sick and this is not a secret. And Khodorkovsky asked [Russian president, Vladimir] Putin to release him because he wants to meet with his mother before it’s too late. And as it happened, Mrs Khodorkovsky wasn’t here when her son arrived. But she’s in Germany. She only left Germany for Russia, but, of course, she’s now with her son. I think that should be seen also as one of the reasons, why all that happened at the end. 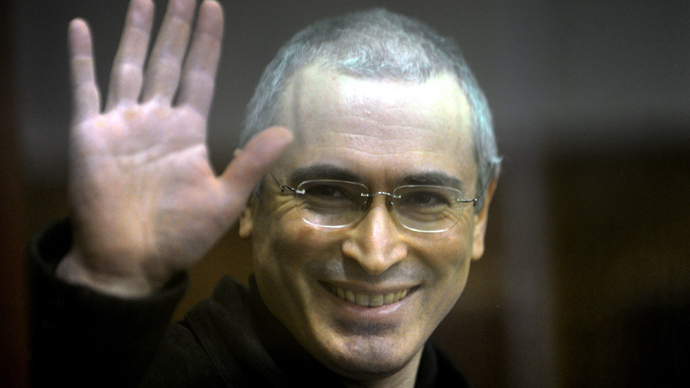 RT:When did you find out that Khodorkovsky is coming to Germany? AR: When I hear on Russian television that Putin wants to pardon Khodorkovsky I immediately called Genscher and said that Putin just has said this and that. We have to be prepared for dramatic events. Two hours later Genscher called me and said be prepared to meet Khodorkovsky in Germany: “He’ll arrive in Germany.” And he asked me to go with him to the airport. He didn’t want to have any journalists, any officials at the airport – only the two of us. And when the private plane landed, Genscher went to see and greet Khodorkovsky and I went along to interpret his first talk with Khodorkovsky. And that time this picture was taken by me as a translator in the middle of both. And this picture made story of the day. But again, I want to stress that my role at that moment was simply that of an interpreter. 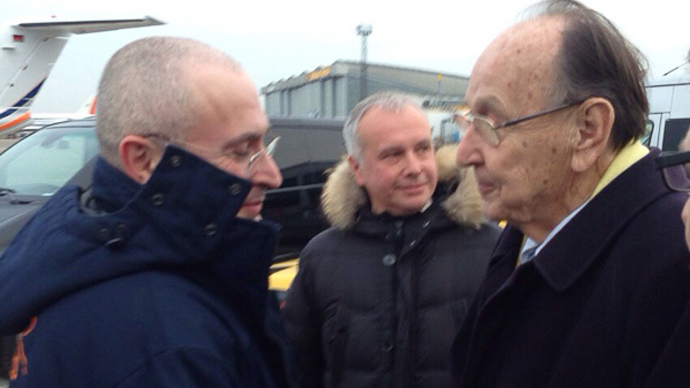 RT:What did Khodorkovsky said after he landed on the German soil? AR: The first greeting was pronounced by Genscher, who said how happy he is to see and greet Khodorkovsky here in Berlin. And Khodorkovsky also said a lot of warm words on the address of Genscher, thanked him for his work and for everything what he has done to release Khodorkovsky. 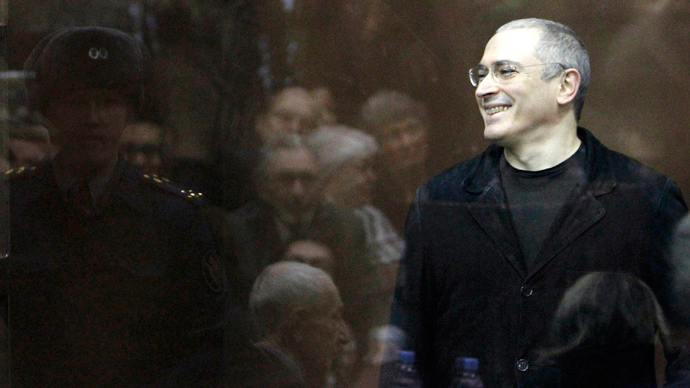 I think Khodorkovsky was a really happy man at that time. RT:When you met him at the hotel later, what kind of impression Khodorkovsky made on you? AR: Very good impression. His face didn’t change in the past ten years. I haven’t seen him for ten years. I think he didn’t lose his humor. He’s still in a very strong mood… I don’t think that he’s going to be involved in politics. It’s my personal opinion, I don’t know. But he has a lot to say, a lot to tell not necessarily of his life in prison, but on his thought on the future and the present state of Russia. I think he sees himself already as a kind of a philosopher or as a second Solzhenitsyn, who has something to say and to whom a lot of people will listen. RT:The Berlin Wall Museum has been chosen as the venue of Khodorkovsky’s press-conference on Sunday. Do you think there’s any symbolism in this? Is he planning to make any political statements? AR: At least, he decided to meet the press because he also knows that he has to talk to journalists. He can’t hide. That would be misunderstood by the world. He has to say something. What he’ll say, I don’t know. It’s up to him. You’ll, probably, hear it tomorrow. RT:You said you’ve met Khodorkovsky before and after prison – has anything changed about him? AR: The big surprise was that, in my view, he didn’t change – not in his views on Russia. He has very liberal views on Russia. He has convictions, ideals, probably. He has a kind of affiliation to friends, to people, who are important to him. No, I think he didn’t change so much, but I don’t know him so close. We had certain dinners ten years ago. Now we had this meeting. I would say that he sounded, in a way, very optimistic, despite, of course, the fact that his mother is sick and he hasn’t seen his family for ten years. He has to recover mentally, psychologically, psychically here in Germany or wherever in Europe. And he will make his plans. I think he is trying to thoroughly understand the new situation, in which he is. RT:Did he mention anything about his future plans apart from being with the family? RT:Were there any discussion about what’s happening in Russia? AR: He has very liberal views on the situation in Russia. He has a lot of interest and also a lot of knowledge about the situation in Russia on the international and the interior Russian politics. But what he has now to do is to meet certain people physically because he has, I say, a lot of theoretical knowledge and thoughts, but now he has to deal with people in long conversations. And, probably, travel, not only in Germany, but also throughout Europe to understand that the world has psychically and psychologically, mentally changed in these ten years when he was in prison. RT:What meaning does the release of Khodorkovsky has for relations between Russia and Germany? AR: He was a stumbling block in the relations. The Khodorkovsky matter came up at all negotiations all the time between politicians, but also in the civil dialogue, which happened between Germany and Russia. The Khodorkovsky release takes away a very problematic point from the agenda. Since the German government said recently that it wants a reset in the relations with Russia or at least an attempt for a reset in the relations with Moscow. Now this gesture, which followed – the release of Khodorkovsky – may have been a positive response to a positive gesture by the Germans, now from the Russians.